The Rapid City Regional Library has gone to great lengths to make your visit more productive. They have very knowledgeable staff that are friendly and competent. There are there to answer any questions you may have. 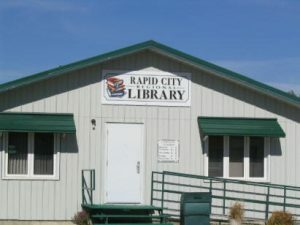 The Rapid City Library is located at 425 3rd Avenue, Rapid City. They can be contacted at 204-826-2732. To provide access to materials, resources and technology that meets the educational, recreational and informational needs of the residents of the R.M. of Oakview. There are always new books on the New Book Shelf to check out! Every February that Friends of the Library have their annual Pie Social which is fun for everyone!! It is a fundraiser for the library and has been going on for eight years strong! Every Halloween the library becomes a haunted spot guaranteed for a fee chills and thrills as well as some hot cocoa and a cookie! They have story time every Friday afternoon from September until the end of June for their younger costumers, complete with stories, crafts, games and the ever popular snack. For school aged kids, they have their After School Reading Program, which runs after school one day a week from the end of January until Spring Break. There is no charge to use the computers for Internet use. There is a maximum usage time of half an hour, if the demand for the computer is high. People who are wanting the computer for recreational purposes, will be asked to give priority to those who are needing it for research, schooling or work. Usage will be monitored by Library Staff. Photocopying is $0.10 per copy. Printing from the computer is $0.50 per copy. You must be a resident of the Town of Rapid City or the R.M. of Oakview. If you are a non-resident, there is an annual fee to use the library. Please note, that for July and August, the library is closed on Saturdays. The library is closed on New Year’s Day, Good Friday, Easter Sunday, Victoria Day, Rapid City Fair Day, Canada Day, the August Civic Holiday, Labor Day, Thanksgiving Day, Remembrance Day and Christmas Day.